There are plenty of opportunities to fish in the Prescott area. And with most of the lakes within a short drive of the downtown, it couldn’t be more convenient. From lures to lines, rods to reels, Manzanita Outdoor has everything you'll need for your fishing expedition. There are several lakes located within minutes of downtown Prescott. The local lakes are all stocked with fish – you can fish from the shore or rent a kayak or canoe and fish from the lake. Don’t miss out on the Prescott fishing – be sure to get your fishing permit in order to partake! This 15-acre lake off of Senator Highway is surrounded by desert brush and pinion oaks. Location: The lake is located about four miles off of Gurley Street, off of Mount Vernon Street (which becomes Senator Highway). Seasons: It is accessible year round and does not freeze in the winter. Marina/Boat Launch: There is one boat launch at the east end of the lake. Boat Restrictions: Only motors that do not use gasoline are allowed. Camping: There is no camping here at the lake. Fishing: You can fish at both the shore and in a boat. The lake is stocked with largemouth bass, crappie and catfish. Over 90,000 people visit this 55-acre lake each year. Boat rentals are available. 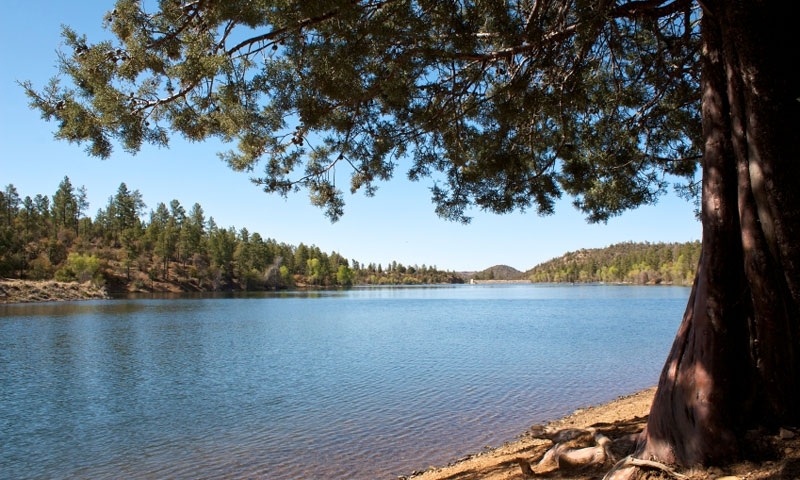 Location: Just minutes from downtown Prescott, Lynx Lake is located about four miles off of Walker Road. Seasons: The lake is open year-round. Marina/Boat Launch: The marina is located on the northwest end of the shore. There is also a boat ramp at the southern end of the lake. Boat Restrictions: Electrically powered boat motors only, please. Camping: There are two campgrounds in the Lynx area, the Hilltop Campground Facilities and the Lynx Lake Campground Facilities. Fishing: People fish from both the shore and from within boats on the lake. It is regularly stocked with rainbow trout. 380-acres of beautiful blue water make up this lake; explore among the granite boulders and outcroppings. Location: About four miles from downtown Prescott, off of Highway 89. Marina/Boat Launch: There are two boat launches at Watson. Boat Restrictions: Gas powered and electric powered motors are allowed, but there is a maximum 5 MPH speed limit. Camping: During the summer months there is camping. There are restrooms, showers, picnic tables, grills and fish cleaning stations. Fishing: Watson is stocked with largemouth bass, catfish, bluegill and sunfish. In order to fish, individuals 13 and up will need to have a valid fishing license, which you can get at any one of the local outdoor shops. Check out the list of vendors below – they can tell you everything you need to know to make your next Prescott fishing trip successful!